Big on Big (BOB) protection is a man based protection scheme. The general concept is the bigs on offense (offensive line) will block the bigs on defense (defensive line) man to man. Most defenses don't utilize 5 defensive linemen therefore the offense has more bigs on the field than the defense. BOB protection teams will assign a linebacker as the extra big meaning the OL is responsible for the 4 down linemen and 1 linebacker (Mike). 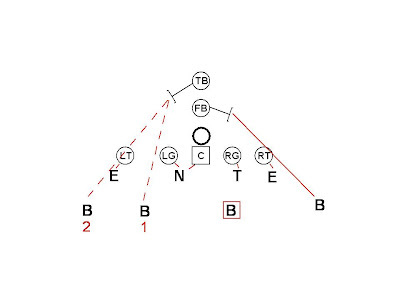 Who the offensive line declares the "Mike" depends upon the scheme. 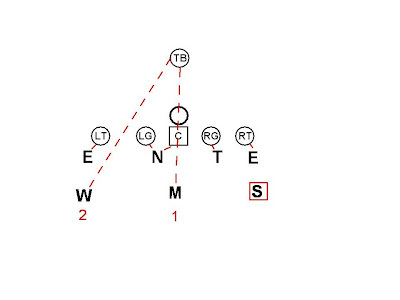 In this example there are 7 blockers for 7 potential rushers. The running backs are manned on the outside linebackers (Sam & Will) if either of them blitz the running back will pick them up. The offensive line is manned on the 4 down linemen and the linebacker declared the "Mike". 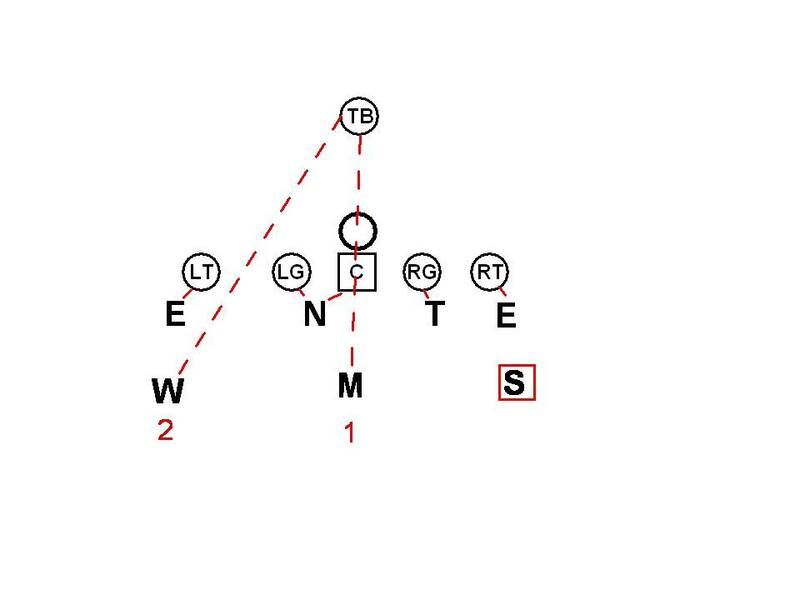 If the "Mike" doesn't blitz the uncovered offensive lineman will give help to an adjacent covered lineman. 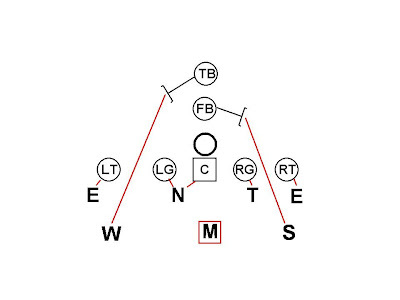 If the "Mike" does blitz the offensive line will adjust to pick up the "Mike" depending on which gap he blitzes. 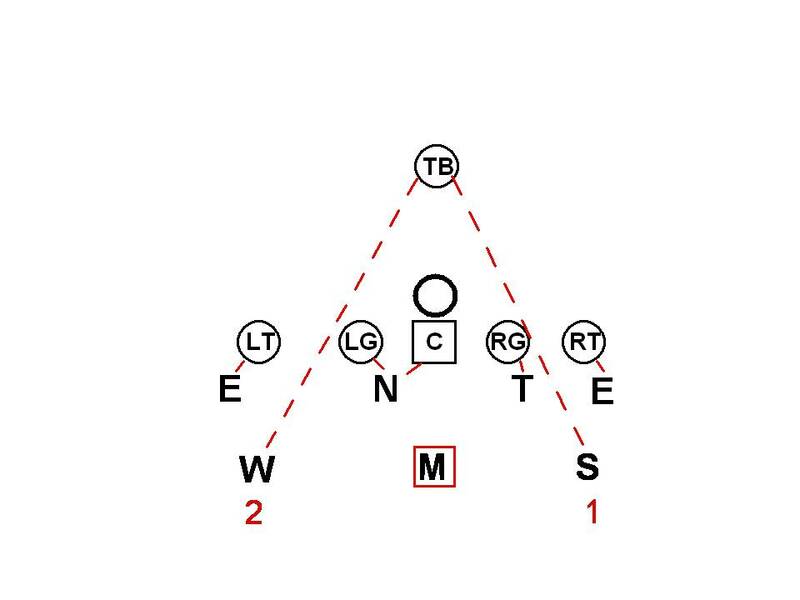 In each of these three situations the offensive linemen blocking the "Mike" is different but the man concept is the same, one blocker for one rusher. 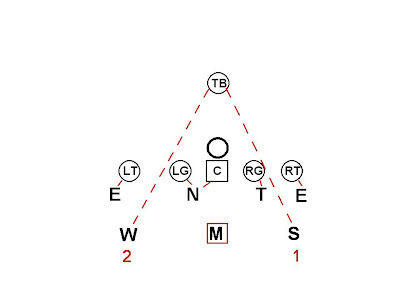 If the defense is in an 8 man front the offense must assign a dual read player (typically a back) to account for the defensive numbers advantage. In this example the defense has 8 players (4 DL + 4 LB) in the box while the offense only has 7 potential blockers (5 OL + 2 RB). 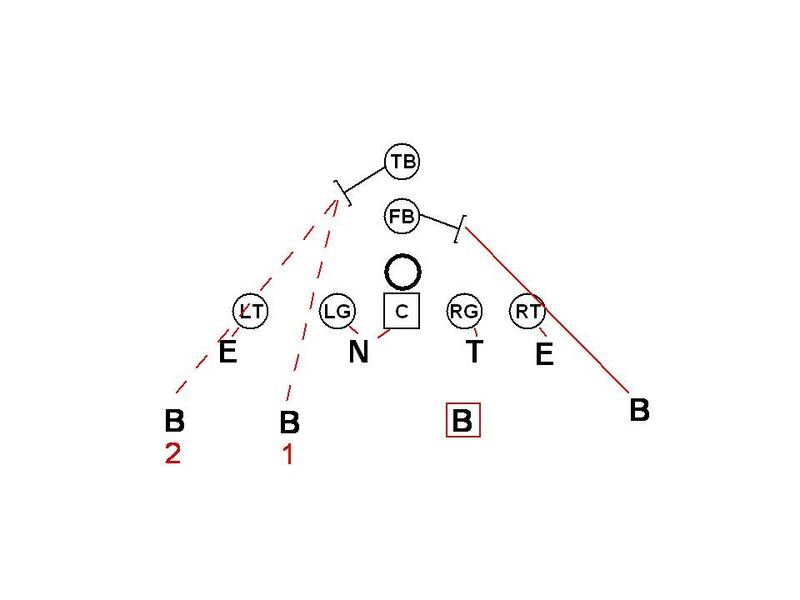 Here the RILB has been declared "Mike" and is the responsibility of the OL while the ROLB is manned by the FB. The TB has the dual read on the LILB and LOLB. If one blitzes the TB blocks him. If they both blitz the TB will block the inside blitzer and the QB must throw hot. 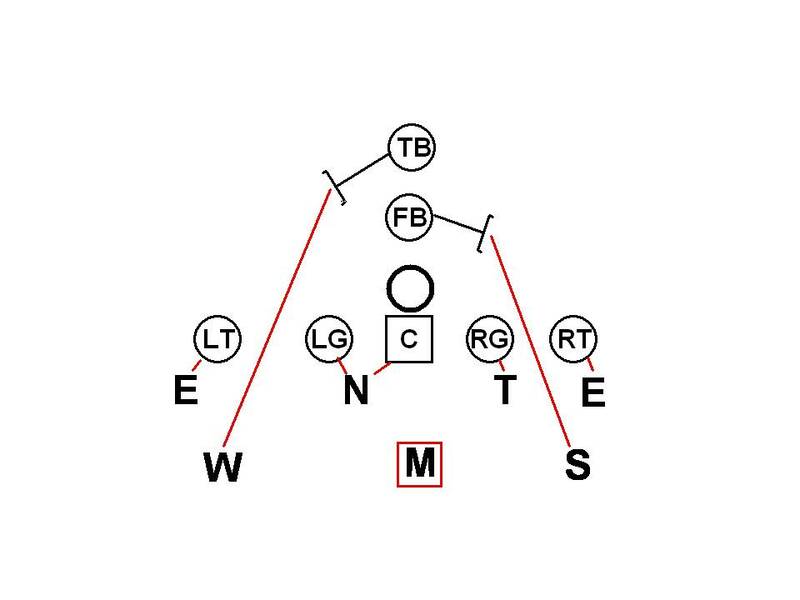 This same concept is applied in BOB protection from single back formations. Here the offense is protecting with 6 blockers against 7 potential rushers. The running back is responsible for the dual read. 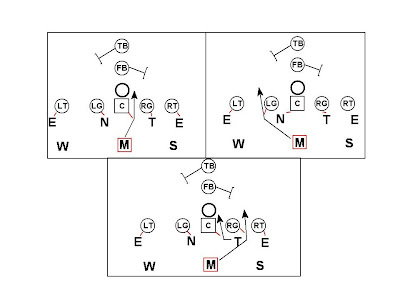 Offenses will vary on who they declare the "Mike" and which 2 linebackers are the dual read responsibility of the RB. Here the offense has declared the OLB (Sam) as the "Mike" in their protection. 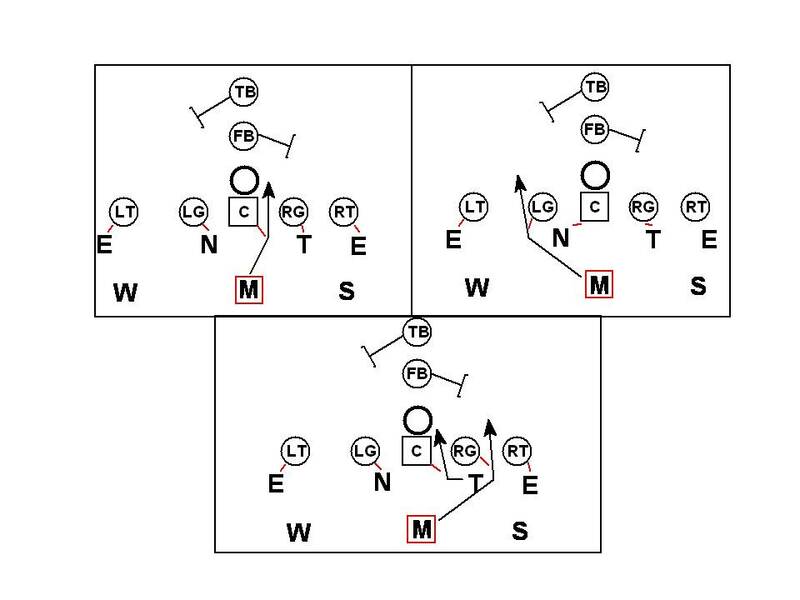 The OL has the 4 DL and the "Mike" while the TB has the dual read on the other 2 linebackers. If the defense is in a 3 man line the offensive line will have 2 linebackers they are responsible for in addition to the 3 down linemen. I will focus on BOB protection against odd front (3 man line) defenses in a later post. This will be the first in a series discussing strategies for attacking BOB protection.